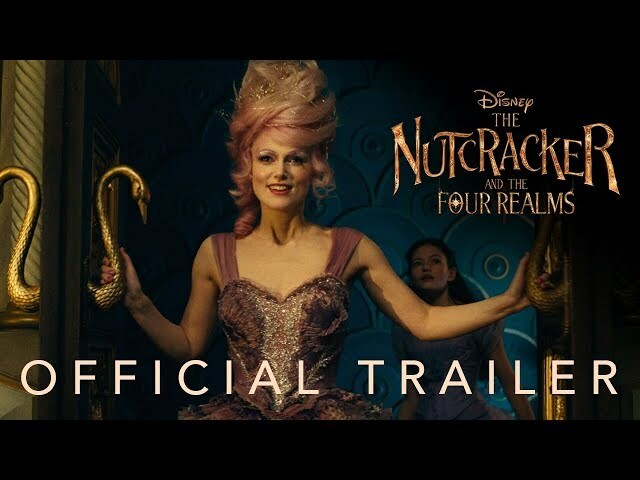 The Nutcracker and the Four Realms (film, 2018). A 2018 American fantasy adventure film with "PG" rating by Walt Disney Studios Motion Pictures. Directed by Lasse Hallström, Joe Johnston, David Sims. Official Trailer. 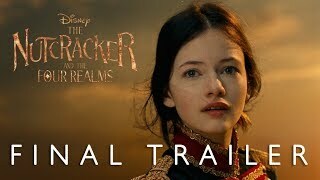 The Nutcracker and the Four Realms is a 2018 American fantasy adventure film directed by Lasse Hallström, Joe Johnston and David Sims. 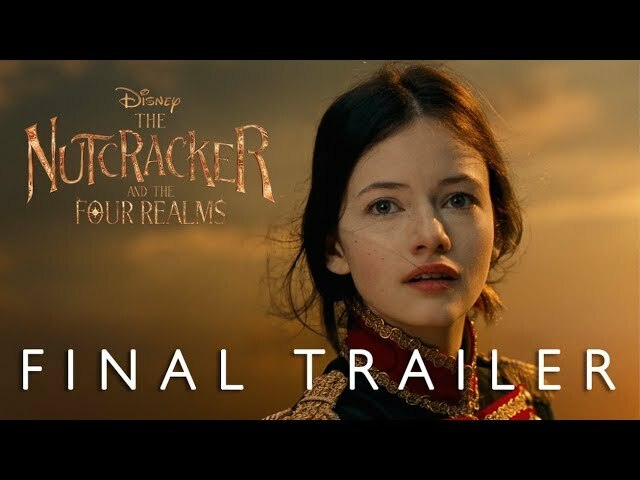 Disney's The Nutcracker and the Four Realms - Final Trailer. In Victorian London, England on Christmas Eve, Mr. Stahlbaum gives his children the Christmas presents his wife Marie had set aside for them before she died. The younger daughter, Clara, receives a handcrafted egg-shaped box, which she is unable to unlock. In the package, she discovers a note from her mother that states that the inside of the egg is all she would ever need. The Stahlbaum family then heads to a Christmas Eve ball, hosted by the children's godfather and skilled engineer Drosselmeyer. Refusing to dance with her father, Clara scurries from the crowd to ask Drosselmeyer how to unlock her egg. He then reveals to Clara that the egg was a creation of his that he gifted to Clara's mother when she was younger, and that her mother's wish was to bestow the gift to her daughter. Returning to the ballroom, Clara gets scolded by her father for disobeying him and not dancing with him. They call each other selfish, after which Drosselmeyer announces it being time for the children to receive their gifts. Clara finds her string with her name on it, signifying her gift, and follows it into a forest in a parallel world where she sees the key. Before she can grab it, a mouse snatches it. Unable to reach the mouse, which crosses a frozen-over river, Clara approaches Captain Philip Hoffman the Nutcracker. He leads her across the bridge into the Fourth Realm, but they are unable to obtain the key from the mice. Captain Philip then guides Clara to the palace, where she meets three regents of each land from the Sugar Plum Fairy of the Land of Sweets, Shivers of the Land of Snowflakes, and Hawthorne of the Land of Flowers. They tell Clara that they are at war with the Land of Amusements which they now refer to as "the Fourth Realm". 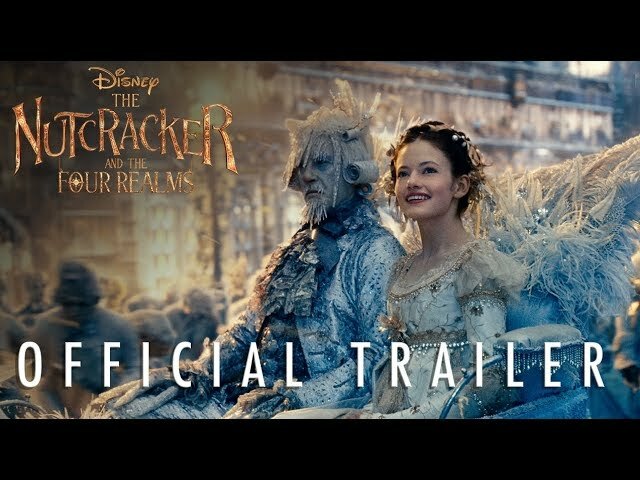 The film The Nutcracker and the Four Realms was scheduled to be released by Walt Disney Studios Motion Pictures on October 29, 2018 (Dolby Theatre), on November 1, 2018 (Germany), on November 2, 2018 (United States, United Kingdom) and on November 30, 2018 (Romania). The duration of the film is 99 minutes. With a budget of $120 - 133 million, the film grossed over $173.9 million. The Nutcracker and the Four Realms got average rating from critics. The audience dislikes the film either. Audiences polled by CinemaScore gave the film an average grade of "B+" on a scale ranging from A+ to F.